Halloween is only 23 days away!! 23!!! YIKES!! 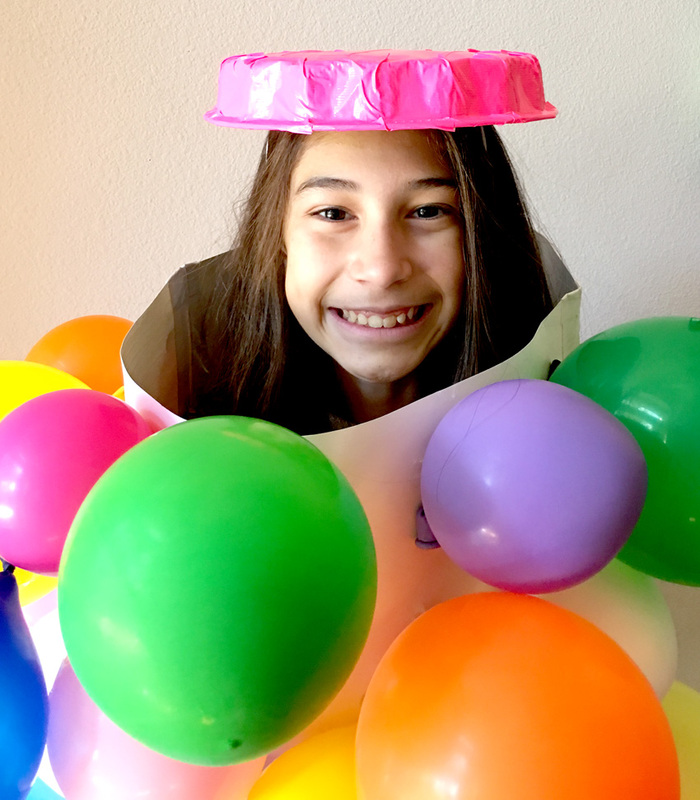 If you are still in need of a super fun and easy costume keep reading! 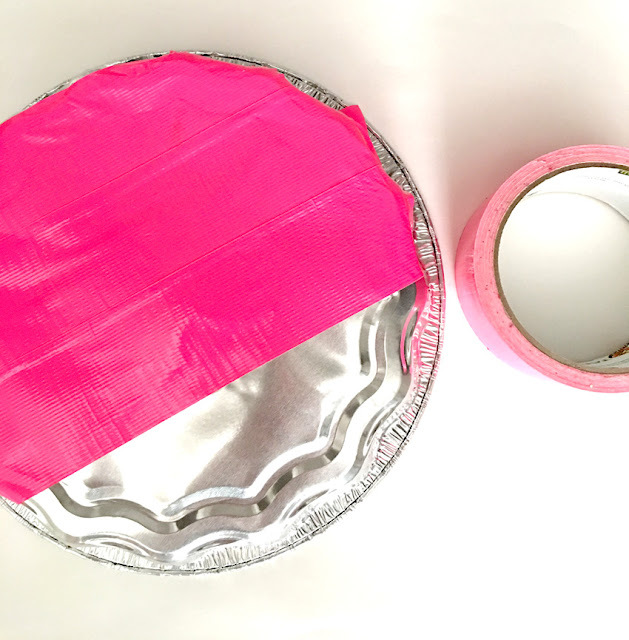 This DIY costume is for you! When I was asked to team up with Kroger to design a costume only using products from their store, I was excited at all the possibilities! Several ideas popped into my head immediately, but only a few stuck. 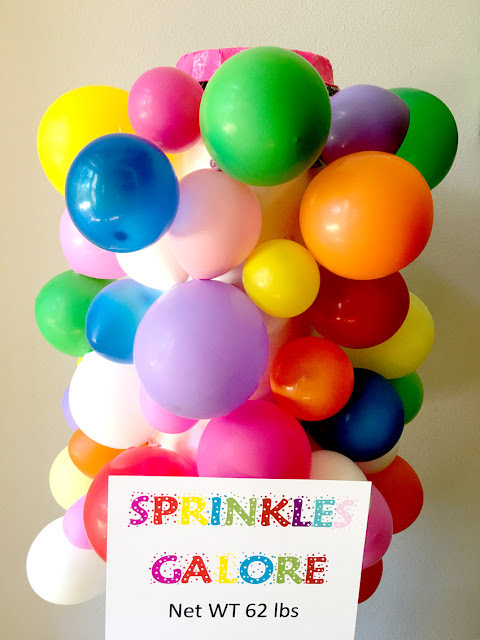 Being a party stylist I instantly thought about a jar of sprinkles after all, sprinkles do put a smile on everyone's face right?! What could be more fun? 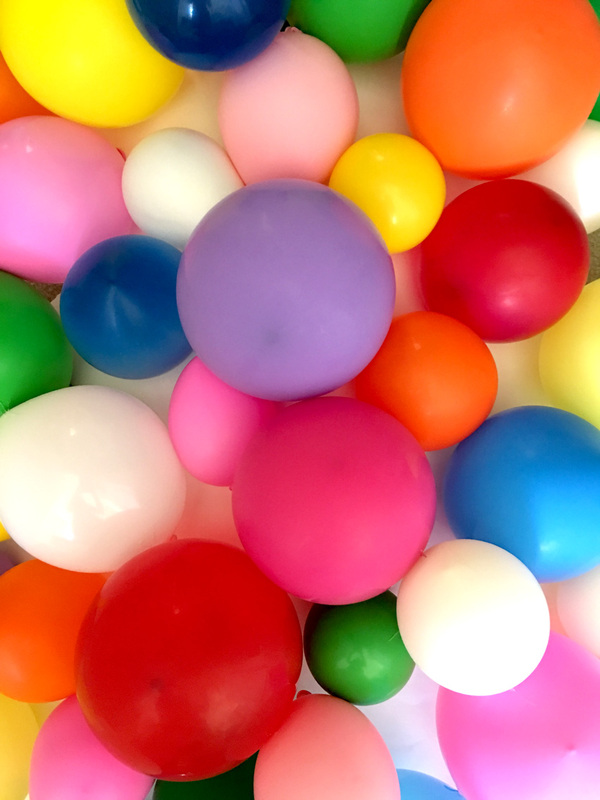 6) Once all the balloons are glued to the poster board, it's time to make the cap. Our pie pan had decorative sides so it easily resembled a cap. 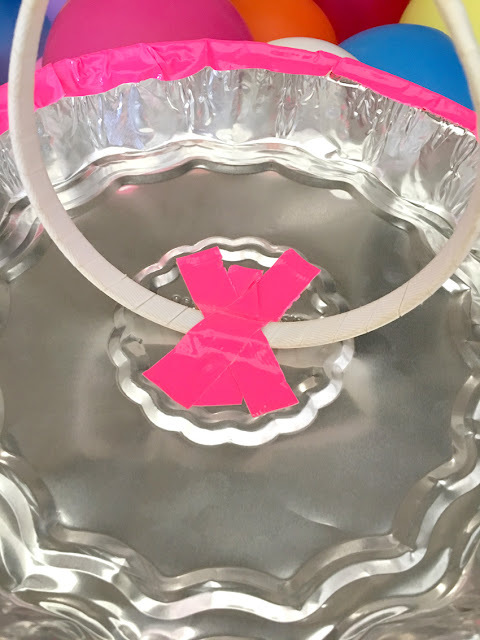 Start by cutting strips of the Duck Tape to fit the top of your cap. 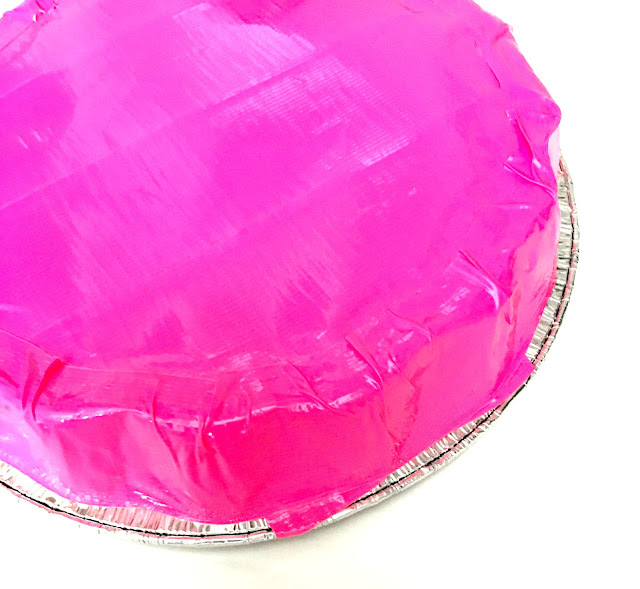 Continue covering the pie pan until it is completely covered in your color choice of Duck Tape, making sure even the edges are covered. 7) You will now take your headband and tape it to the inside of the pie pan. This will hold the "cap" in place on the wearer's head. 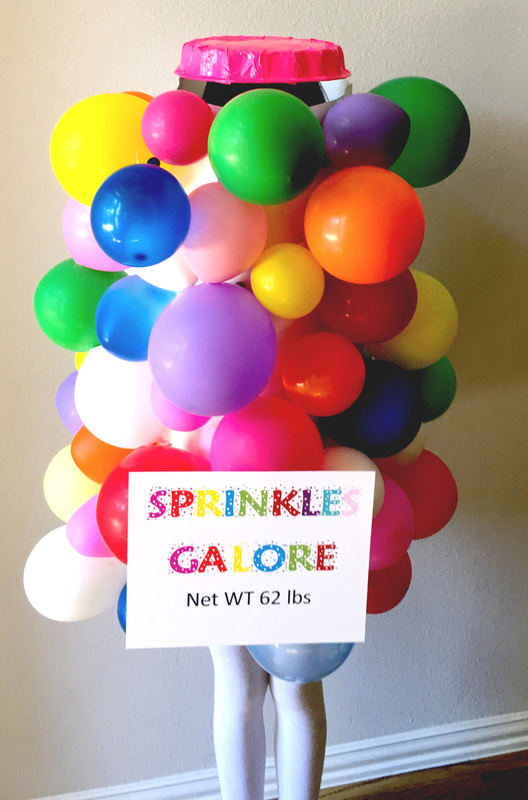 8) Have the wearer place the jar of sprinkles gently over their body. My daughter wore a white long sleeved shirt, white tights and white hi-tops. Lastly, add the "cap" and you are done! Are you ready for Halloween? 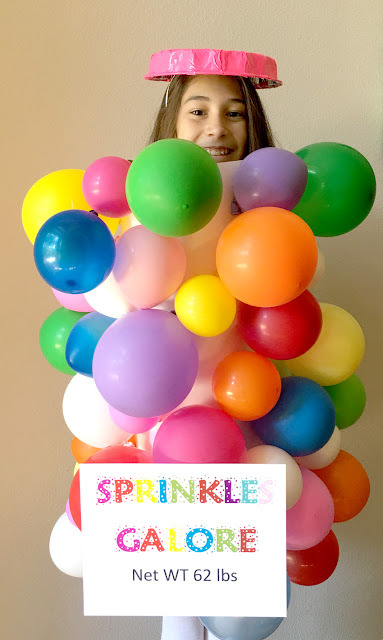 If not and you need a super simple and fun costume for yourself or your child, this is it and it comes with the FREE Sprinkles Galore sign, you can download it here! I loved the main theme of this blog. It really helps me to foster the content building.